Schutzhund, or IPO as it is now referred to is a Sport Dog Competition which originated in Germany in the early 1900’s. Schutzhund, which translates in German for Protection Dog, was originally developed as a Suitability test for the working ability of a German Shepherd dog. Today, there are many different breeds which compete in Schutzhund but the standards remain in that it is a Sport dog competition that tests the working ability of a breed. 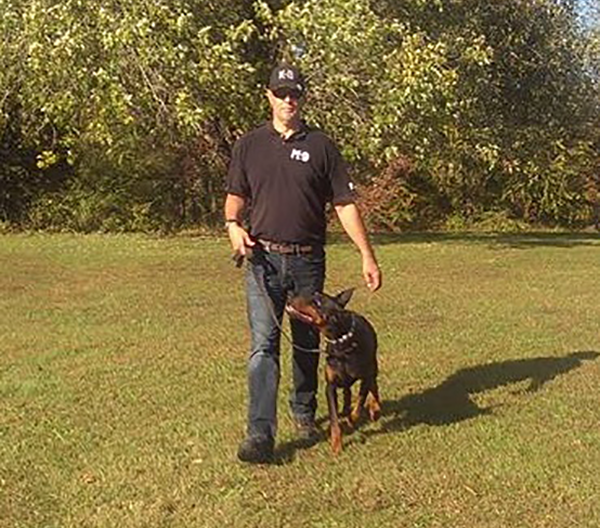 Schutzhund consists of 3 areas, Obedience, Tracking and Protection. It is a very demanding sport that requires an extremely focused and driven dog to be successful. Anything less will fall short in this sport. 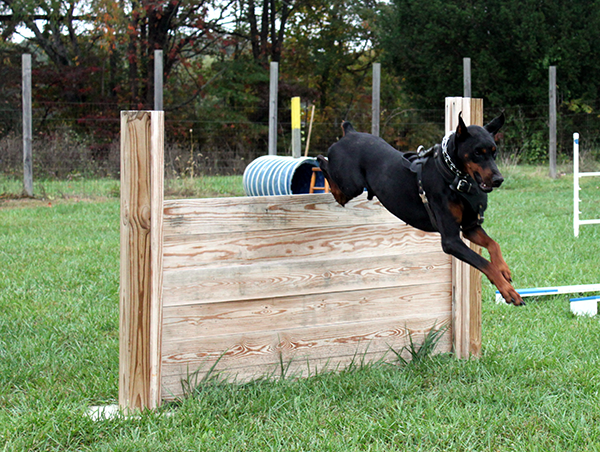 There are 3 levels in Schutzhund that the competitors strive for. Schutzhund 1 (SchH1), Schutzhund 2 (SchH2), Schutzhund 3 (SchH3). Each level increases in difficulty. A Schutzhund 3 dog is considered the most advanced. Before any dog is able to compete for its first title, it must first pass a temperament test referred to as the BH. This is essentially an Obedience test to see if your dog is a “traffic sure” dog and has the ability to work around people, other dogs, traffic and loud and distracting noises. 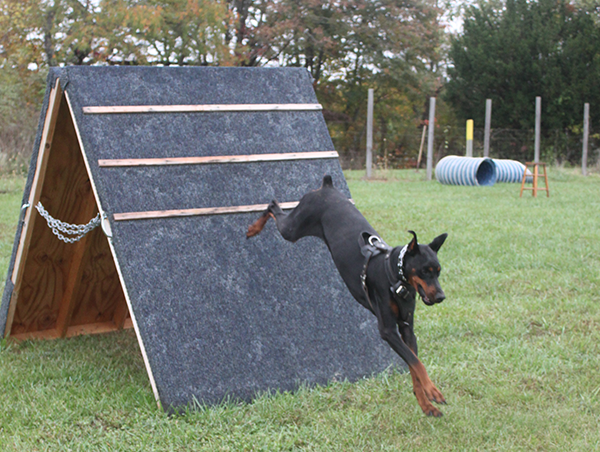 If your dog cannot pass this test, it cannot compete in Schutzhund. At Atlantic Coast K-9, the training begins in Obedience to lay the foundation in place so that your dog can earn it’s BH. The Obedience work done in this phase is the building blocks for the other 3 levels of Schutzhund. Also, this is where we begin to work on teaching your dog to Focus and building what we call it’s “Drive” or rather it’s motivation to want to work. This is an extremely important part of the overall process because, simply put, a dog with little to no drive will fail in Schutzhund. 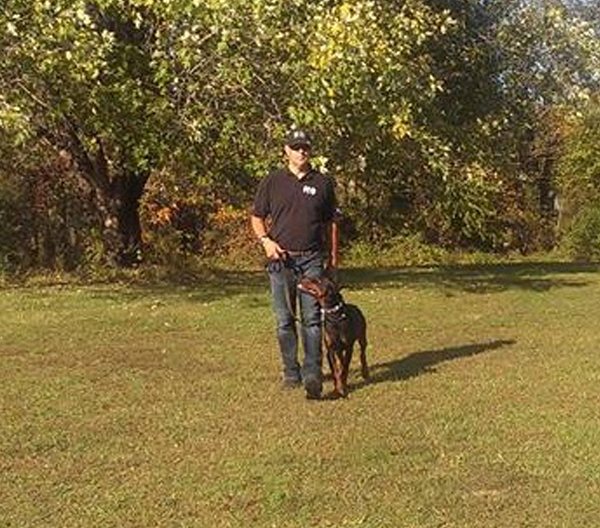 Once your dog passes the BH, we then proceed to prepare it for its Schutzhund 1 title by teaching it all 3 phases, Obedience, Protection and Tracking. 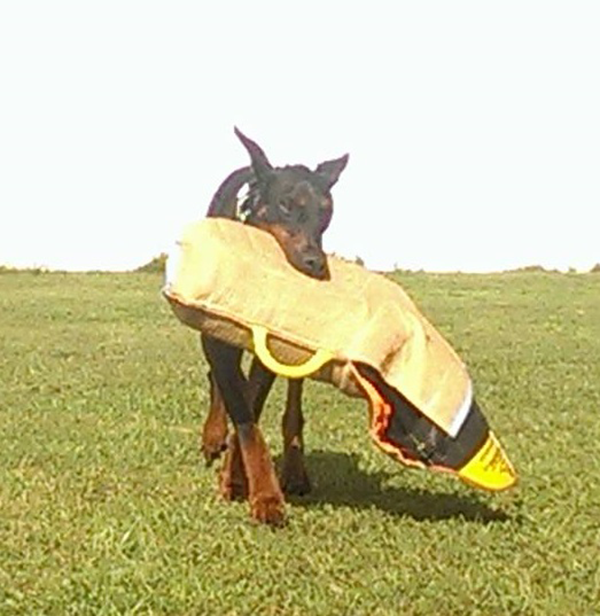 When competing, a Schutzhund dog must pass all 3 phases in Competition to earn his/her title. Schutzhund is scored on a 100 point scale with the Obedience and Tracking portion of the test requiring a score of 70 or above to pass and the Protection phase requiring an 80 or above. 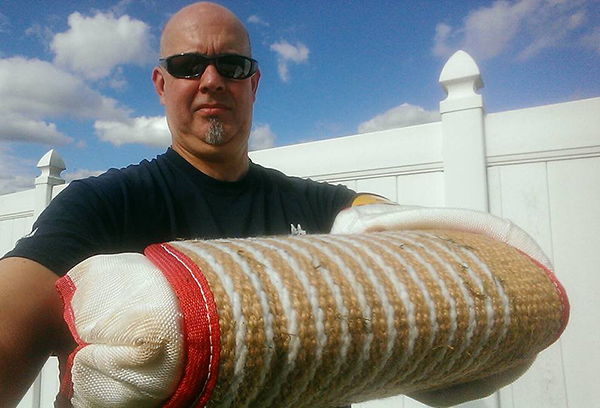 There is much work involved in Schutzhund and the sport requires a dedicated and driven individual to succeed. Fortunately, we are experts at Atlantic Coast K-9 in teaching this sport to you and our Owner/Training Director Ralph Smith is a National Level competitor in the sport. If you think that you have what it takes to compete in Schutzhund with your dog, or if you’d like more information, please give us a call. We can assess your dog to see if it has the ability to compete in this sport or we can help you to locate a dog that can.